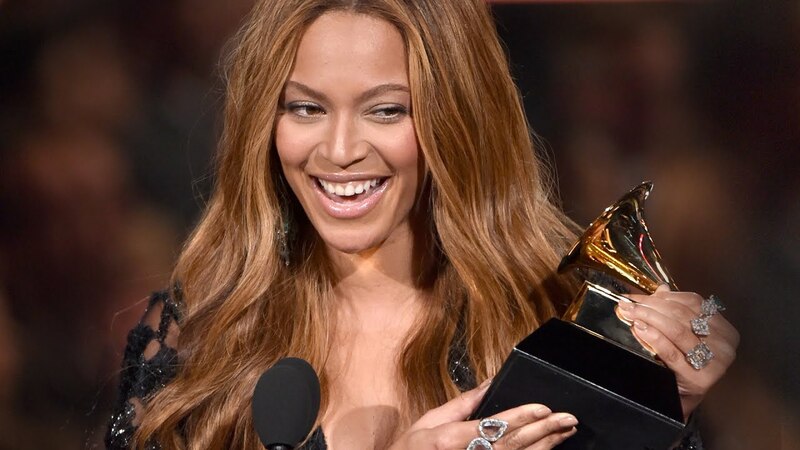 Beyonce thanked Jay Z and Blue Ivy as she accepted the Grammy for Best R&B Performance. The stunning star gushed about her family during a sentimental speech as she praised her husband and their three-year-old daughter at the ceremony on Sunday night. She said: "Wow, thank you guys so much. This is such an honour. I'd like to thank God... This has been such an incredible year. "I love y'all... I'd like to thank my beloved husband. I love you deep. My daughter who's watching, Blue, I love you." However, Beyonce didn't thank her almost-knight in shining armour Kanye West, after the outspoken rapper stormed the stage as Beck collected the best album prize. The star seemed to be jokingly referencing his stunt in 2009 - when he interrupted Taylor Swift after she also beat Bey to an award - but an explosive rant after the Grammys suggested this wasn't as lighthearted as he made it seem. Spitting venom, the Yeezus hitmaker said: "I just know that the Grammys, if they want real artists, to keep coming back, they need to stop playing with us. We ain't gonna play with them no more. And Beck needs to respect artistry and he should've given his award to Beyonce." He continues: "Because when you keep on diminishing art and not respecting the craft and smacking people in their face after they deliver monumental feats of music, you're disrespectful to inspiration. And we as musicians have to inspire people who go to work every day, and they listen to that Beyonce album and they feel like it takes them to another place." The 57th Grammy Awards is one of the biggest nights on the music calendar, with a star studded guest list turning out to walk the red carpet. Held at the Staples Center in Los Angeles, California, Hollywood's finest cleared their calendars to make sure they showed their face at this ultra glamorous event - as well as all the pre-Grammy parties too. But while Rihanna, Kanye West and Paul McCartney took to the stage to perform their brand new collaboration FourFiveSeconds, songstress Taylor Swift had to excuse herself from performing duties after admitting she is "too wrapped up" in her world tour. After her triumphant Super Bowl appearance, Katy Perry was also back with a Roar, as she joined artists including Ariana Grande, John Legend and Madonna on the prestigious stage. Meanwhile, Sam Smith swept the board with four awards on the night, while Beck earned himself three prizes and elsewhere, Beyonce took away Best R&B Performance for her track Drunk In Love with her husband Jay Z and she also won Best R&B song for the track.